There can be no doubt that outside Pomerol, St Emilion has put in the strongest performance in 2012. There is great beauty to the best wines. The vintage was not without its own problems of course as detailed in earlier posts – various heavy bouts of rain in October; the difficult start to the growing season which lead to uneven and protracted flowering; the risks of mildew in early July and botrytis in October. The most attentive and diligent have triumphed and the quality of the best Merlot is stunning. Given the challenges of the year there is more variation in St Emilion than in Pomerol as you’d expect. The region is bigger and more geologically varied, but also there are simply more properties. Some will have been prudent in the vineyard, others less so. Likewise lighter, sandy soils may have struggled in the dry August heatwave, others with more clay and gravel will have coped better. The better sites and terroirs on the St Emilion have as usual, generally made the best wines. Still there are a very great number of supposedly less distinguished properties that through great attention to detail and good consultancy have made some really enjoyable wines. St Emilion will provide a lot of good value wine for the consumer despite all the controversy surrounding the price hikes at Château Angélus and Château Pavie. The wines that disappointed were those that had maybe picked a little early with their Cabernets [for fear of the weather] or a little late. There are also those that have pushed a bit too much, though there seemed a lot less over-extraction to me coming across in the wines than usual which seemed a good thing. Generally the standard of the wines at the Union de Grand Crus tastings at Château Soutard was very high – amongst those there Château Beau-Séjour Bécot, Clos Fourtet, La Dominique, La Gaffelière and Troplong-Mondot stood out, in addition to Pavie Macquin and Canon-la-Gaffelière covered in earlier posts. At the Cercle de Rive Droite press tastings at Chateau Barde-Haut the quality of the St Emilion Grand Crus Classé was pretty homogeneous and there are some excellent values to be had here. I was especially impressed with Chateau Barde-Haut itself, along with Destieux, Fombrauge, Fonplégade, Fonroque, La Commanderie, Sansonnet and St George Côte Pavie amongst others. 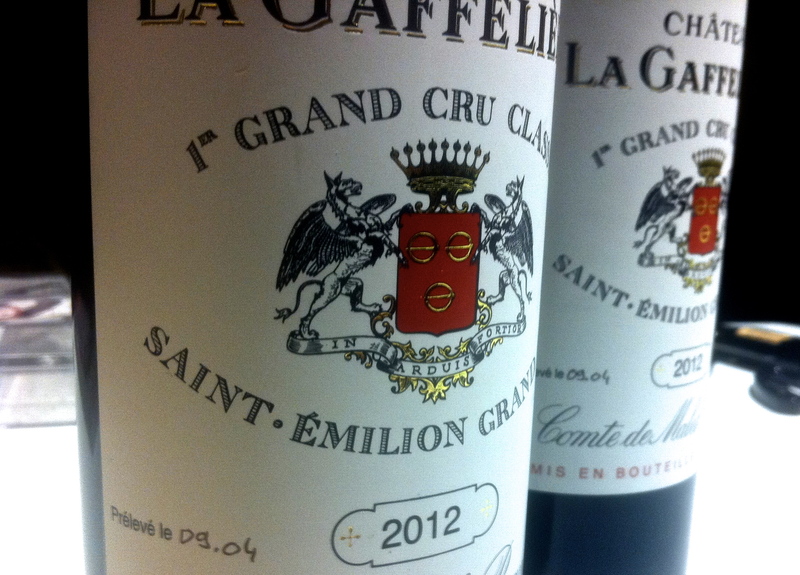 Things were more varied at the St Emilion Grand Cru level but overall the standard of the wines was a lot better than in 2011. Clos Dubreuil, Patris and Sanctus du Chateau La Bienfaisance looked pretty good but there are others too. Tasted separately I was also impressed with Clos Badon, Chateau Daugay, Chateau Puy-Blanquet, Chateau La Serre and Chateau Trimoulet. I’ve group the tasting notes in alphabetical order regardless of classification [though that is indicated on each note]. In some respects the highlights have already been reported, but there are exceptions. 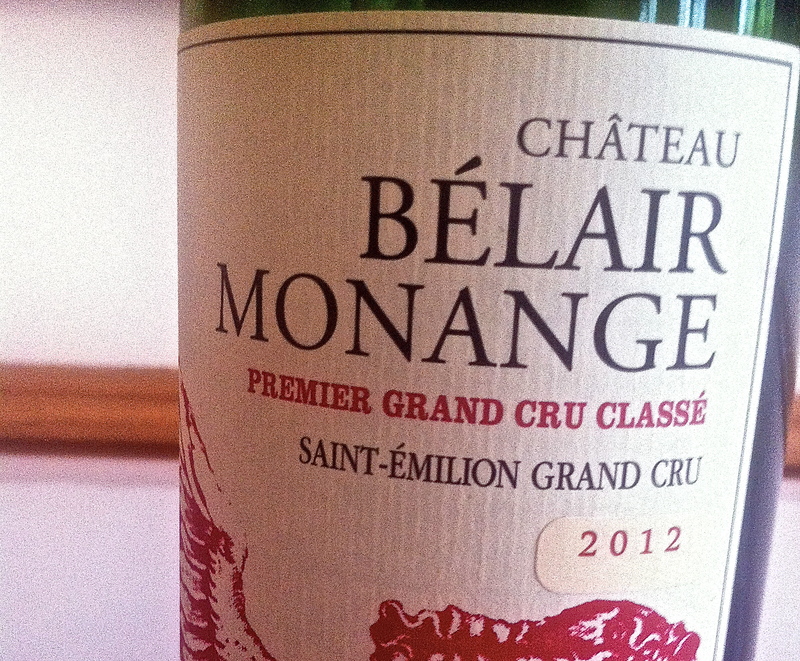 Premier Grand Cru Classé Chateau Bélair-Monange was tasted with JP Moueix and its notes appear below – very elegant and composed. It now incorporates the vineyard that formerly constituted Chateau Magdelaine. Also tasted on a visit to Chateau La Mission Haut-Brion was the Clarence Dillion property St Emilion Grand Cru Chateau Quintus [formerly Chateau Tertre-Daugay]. This has certainly shifted up a gear since the inaugural release last year and was very impressive. The notes too are also included below. Overall it’s a very long post [there are notes on over 90 wines] but hopefully pretty comprehensive. The major omissions are Chateau Ausone, Chateau Pavie and Chateau Tertre Rôteboeuf. I hope to catch up with these soon but time escaped me here in St Emilion more than anywhere else, though I did manage to taste more wines than ever before. As usual the notes are more important than the numbers. Dense and deep at centre; some satin and ripeness; little honey; fresher with acid and interest; but dips a fraction; I would expect this to come good and prove really enjoyable, un-pretentious St Emilion for drinking. 87-89 Tasted blind at Cercle de Rive Droite Sunday April 7, 2013 [Later note – more disjointed] Deep and saturated; attractive nose, some nicely integrated oak; plums, black fruits and spices; palate very oak dominated at present; little clumsy and quite dry. Chewy and dense with loads of wood tannin. Hold off on the oak! Nice fruit here but way too much oak. 84-86? Tasted Wednesday April 10, 2013 at la Fleur de Bouard. Deep and dense, lots of depth and density in the glass; pretty perfume and lift; plums and spices; soma oak beneath; some mincemeat; pretty lush; ripe entry on the palate, nice minerality; sap and freshness; very correct with nice purity; emphasis on the fruit. Very good. 80% Merlot, 20% Cabernet Franc. 88-90 Tasted 12th April at Chateau Pavie-Macquin. [Earlier note] Pretty dense and saturated look, not that tight to the edge; ripe and some red fruits but also quite fresh; some perfumed and strawberry notes; spices; fresh palate; stalky and plummy fruit with some cool oak; some drying on the finish. I expect this will fill up during élevage. 86-88 Tasted blind at the Cercle de Rive Droite, Sunday 7th April 2013. 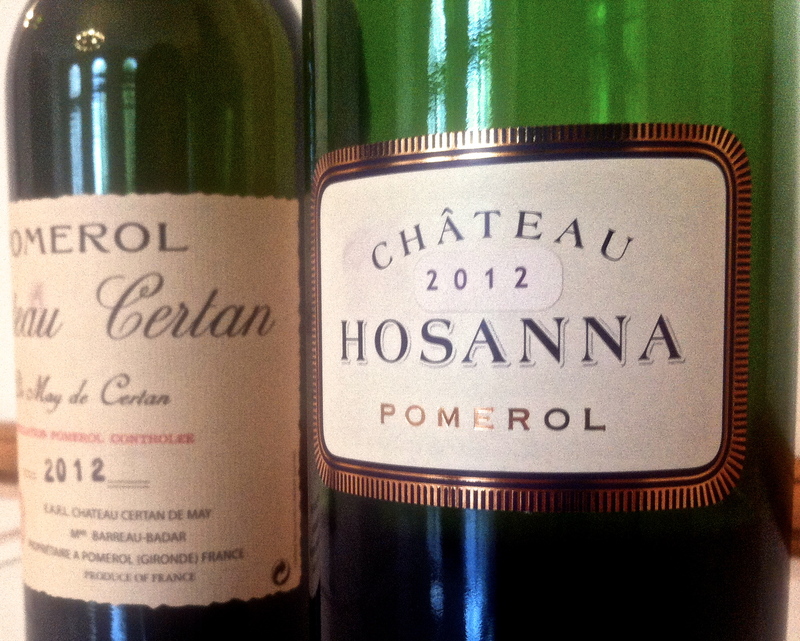 Pomerol has made a really serious fist of 2012. There is plenty of creamy, fat Merlot on offer and with diligent vineyard work and a steady nerve it was possible to harvest ripe and flavoursome Cabernet Franc. There is wonderful freshness and vibrancy to the best wines, and generally much more flesh on offer than in 2011. There is also impressive structure too. Some estates are comparing the vintage with 2001 in terms of balance. At Vieux Château Certan they talked about 1985 while Christian Moueix has even been comparing it with 1971. What’s in the glass is delicious in my opinion and there is considerable depth on offer too. Certainly 2012 is a very different vintage from 2011 – that topsy-turvey growing season resulted many uneven wines – but 2012 was not without considerable challenges of its own. Bertrand Nicolas of Château La Conseillante described 2012 as another ‘difficult’ year in the vineyard but at least the seasons were, by and large, in the right order. Weather at the start of the growing season was very mixed and cool. This led to uneven bud break and later a stretched flowering period. There were two principal effects resulting from this. The first was that it made 2012 a relatively late harvest [certainly compared to the last three vintages]. Secondly, that there would considerable variations in ripening and, to a degree, some unevenness in fruit set. Edouard Moueix said the extended flowering period effectively created two crops. The later grape bunches they would end up removing as things progressed. The wet weather in the early summer presented a considerable mildew risk and necessitated much vineyard work but then the weather cleared substantially. The period following late July to September was actually a very dry one. August was also very hot. This allowed for the build up of concentration and density in the grapes. Light rain in September helped the Merlot attain good phenolic ripeness. 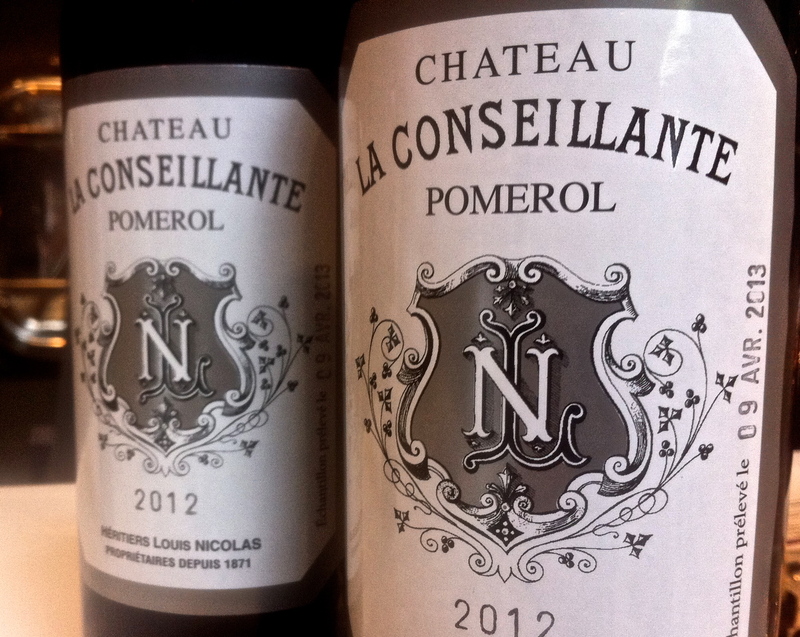 At JP Moueix’s various Pomerol properties, the harvest ran from September 24 to October 11. The threat of heavy rain in October did make it a very tense waiting game for the Cabernet Franc and the very small quantities of Cabernet Sauvignon in the appellation. At Vieux Chateau Certan, they picked their Cabernet Franc between 10-11 October, trying to steal as much extra ripeness as possible. Once the grapes were in the vat room, the heavens then opened. The 2012 vintage waiting game was further evidenced at Château Nénin. At 32 hectares it is one of the larger Pomerol properties. Here the vintage began on September 21 and ended on October 10. Yet within this three-week period they only picked on eight of the days. The results? Across the board there is more consistency in 2012 than in 2011 at all levels in the wines tasted. There is wonderful vibrancy and bounce to the best. This freshness is epitomized particularly by the JP Moueix wines. I was especially impressed by Chateau Latour à Pomerol, Chateau Providence and Chateau Hosanna. Hosanna was sumptuous. Chateau La Fleur-Pétrus and Chateau Trotanoy looked extremely impressive with lots of layers and the depth you’d expect. There is also vitality to Chateau Plince, Chateau Lafleur-Gazin and Chateau La Grave. Generally these were a very refreshing set of wines. At Vieux Chateau Certan there is lots of perfume, freshness and depth. The Thienponts seem very happy indeed. 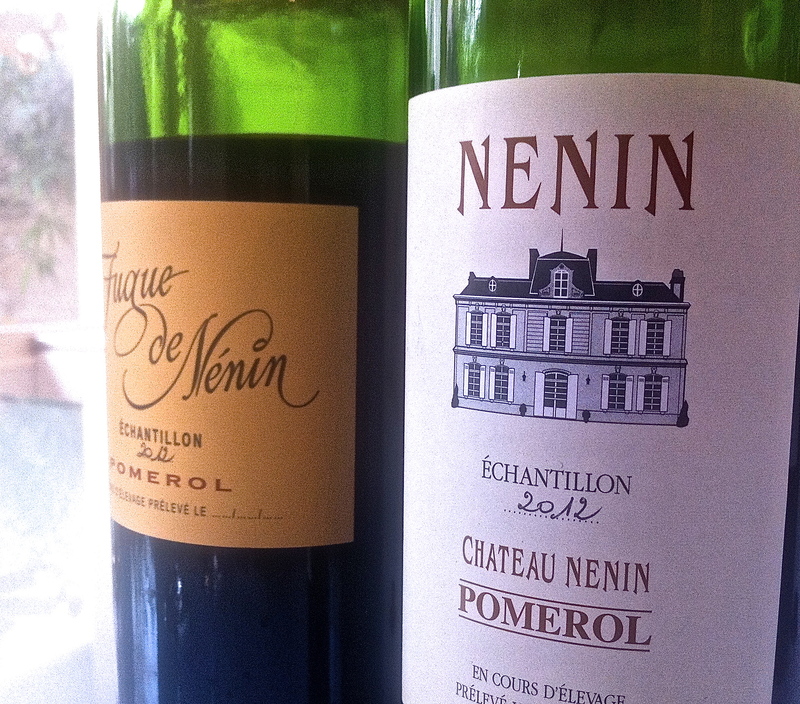 I was also taken with Chateau Nenin, tasted separately on a trip to Château Léoville-Las-Cases [as it is part of the Delon portfolio]. It had lots of creamy, plummy fruit and great purity. Their second wine Fugue de Nenin was pretty too. The UGCB held their event at Chateau La Conseillante. The nine Pomerol wines shown there looked impressive. La Conseillante displayed delicious summer fruit compôte aromas and a creamy and attractive palate. Château Clinet was less flashy than usual and much tighter but showed impressive depth and structure. Château Gazin has produced another very good wine, and shows the continued march forward with quality here. Château Petit-Village was attractive, layered and pretty dense too. 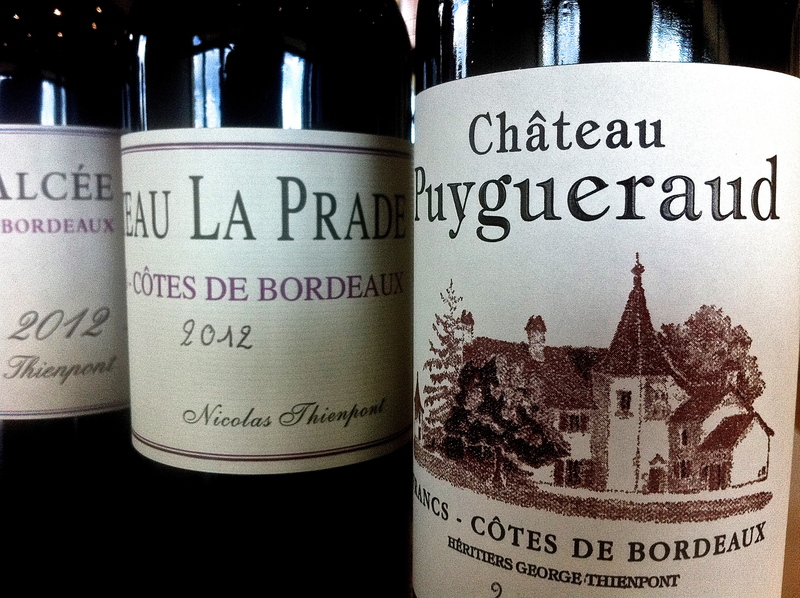 Château Beauregard, Château La Cabanne and Château La Pointe have also produced wines full of flavour and material, properties that usually offer reasonably good value. Chateau Le Bon Pasteur also looked promising, though there is a lot of emphasis there on new oak [both fermented and aged in new oak barriques]. Still there looked to be enough fruit to handle the winemaking. 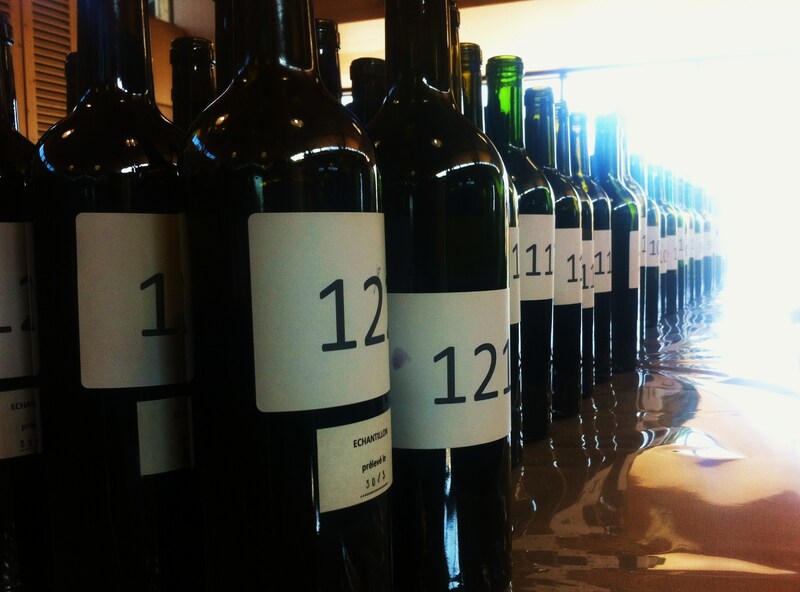 I also tasted twenty one Pomerols blind at the Cercle de Rive Droite’s event. These were more homogeneous than in 2011 too, though here was more variation on display than at the other Pomerol tastings. Some were very impressive indeed and should prove good values. Amongst these I’d definitely seek out Chateau Fayat, Chateau Feytit-Clinet and Chateau Mazeyres. Chateau La Fleur de Gay also looked very good. Others felt a little disjointed, either over-oaked or extracted relative to the fruit, or a little mean. The major omissions in the tasting notes are Chateau L’Eglise Clinet, Chateau L’Evangile, Chateau Le Pin and Chateau Pétrus. I’ve grouped the following 41 wines more or less alphabetically. Again, as ever, the notes are more important than the numbers. Deep and dark; colour tight to the rim; tight but clearly very deep on the nose; serious, not its usual flattering self; layers here which show themselves on aeration but this is a pretty dense Clinet. Lots of depth on the palate and structure too. Pretty formidable effort. Excellent length. 90% Merlot, 9% Cabernet Sauvignon, 1% Cabernet Franc. 93-95+ UGC 10 April, 2013. Deep and dense; wet rocks and chalk alongside plummy tones with spices and black cherry notes; lovely mouthfeel, enticing and sumptuous palate; deceptively easy and supple; very nicely balanced fruit tones; real delicacy and freshness here. Lots of zap and life again. Very good length. 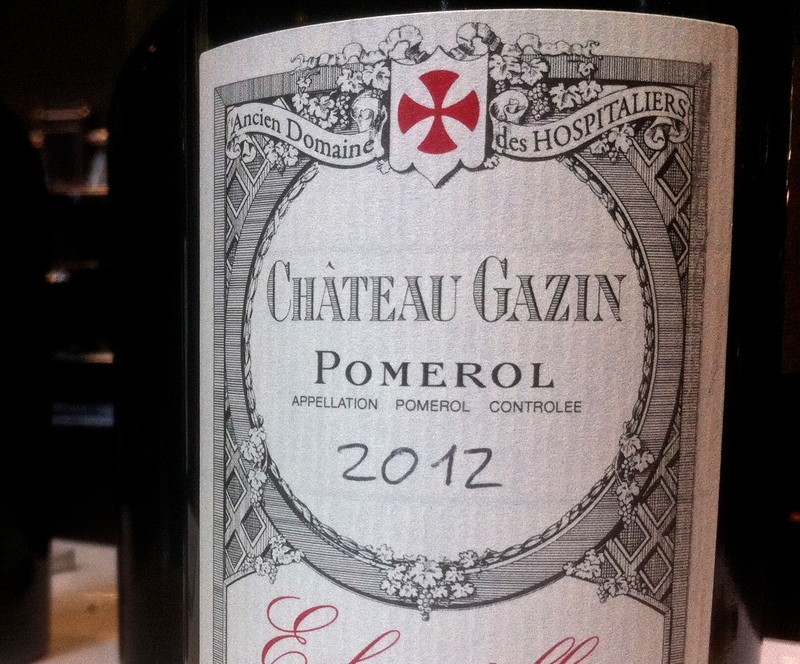 Wonderfully vibrant and enticing Pomerol. 80% Merlot, 20% Cabernet Franc. 93-95+ Tasted at JP Moueix in Libourne Weds 10 April 2013. Deep and dense; vibrant effort, ripe and full, pretty open; lots here, fatness but also tightness; dense palate with freshness and attractive Cab Franc influence. Lots of extract but nicely handled. Serious again and continues the run of good form for me at La Pointe. 90% Merlot and 10% Cabernet Franc. 91-93 Tasted UGC Wednesday 10 April 2013. More variation here in Lalande de Pomerol than in Fronsac in 2012. At the top end I was especially impressive with Domaine des Sabines, La Fleur de Boüard and their succulent ‘Le Plus’ and Chateau Grand Ormeau. In the fresh and vivid style Chateau de Viaud and Chateau Siaurac also looked good. Quite a few others felt extracted relative to their fruit and one or two felt a little vegetal/green to me. This may have been a case of harvesting too early [fear of the threat of rain] or too late. Whatever the causes extractive winemaking often only served to emphasise these negative characters. I’d have liked to re-tasted those that misfired but sadly I had no further time during the week. Deep and saturated, very dense looking; pretty pent up with lots of layers; creamy and lots of fruit; rich palate but not overdone; nice bite on the finish. 100% Merlot. 90-92. Tasted Weds 10th April at La Fleur de Boüard. Deep looking, purple edge; earthy, some reductive notes; bit backward reductive on nose; palate cleaner; fresh and supple; not overdone; fresh and pure. I’d give this good marks for elegance and freshness: Very moreish. 85% Merlot, 12% Cabernet Franc & 3% Cabernet Sauvignon. 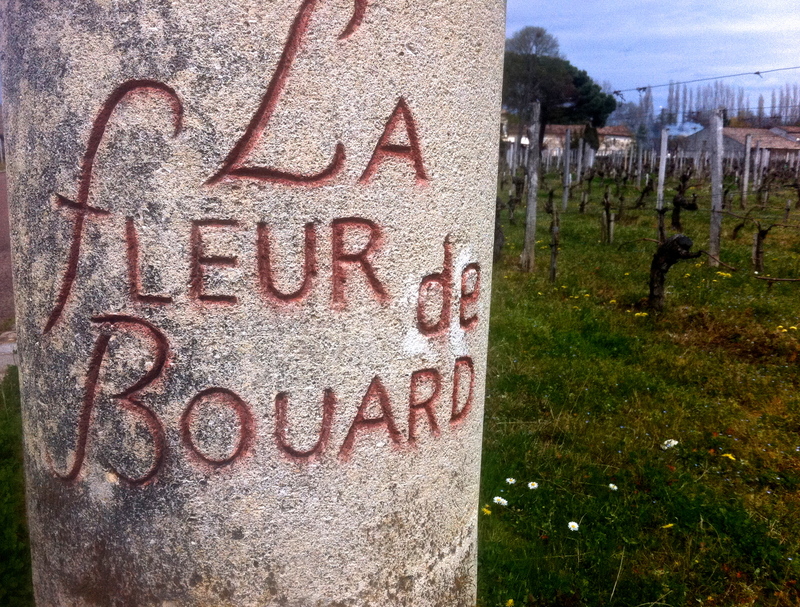 88-90+ Tasted Weds 10th April at La Fleur de Boüard. I was also impressed with Aria du Chateau de la Rivière [as well as Chateau de la Rivière], Chateau Dalem, Chateau Gaby, Haut-Carles and Chateau de Carlmagnus, but many others should also provide positive drinking, Bordeaux with freshness, fruit, structure and style. The following wines were tasted blind at the Cercle de Rive Droite at Chateau Barde-Haut in St Emilion on Sunday 7th April 2013. Earthy purple at edge; less dense colour than some; easy vibrant nose, fresh and some spice; almost Loire like; elegant palate, bit lean perhaps. May gain in weight but feels a bit hard at this stage. 84-86? Good values to be had here in 2012 I expect. Most of the wines were tasted blind at Cercle de Rive Droite at Chateau Barde-Haut [an extremely well organized event] with a few others tasted elsewhere. The best Côtes de Bordeaux showed attractive fruit and good purity. They range in style from the forward and appetising, to really serious efforts with lots of style and verve. In this latter category Stephan von Niepperg’s Chateau d’Aiguilhe and Nicolas Thienpont’s Chateau Alcée in Castillon stand out as especially beautiful wines. I’ve also included notes on Domaine Virginie Thunevin, owned by Jean-Luc Thunevin’s daughter, but vinified by Thunevin himself. It’s delicious. Overall 2012 looks much more promising than 2011 did at a similar stage and it feels more homogeneous. There’s still obviously variation here as we are talking a complex set of different terroirs under the Côtes de Bordeaux umbrella – Blaye, Francs, Castillon and Cadillac. Then there are differences in winemaking, vineyard practice and the vagaries of the weather in 2012. There were a number of wines that felt disjointed too but I expect them to pull together. Ordinarily I would have re-tasted these but the pressure of time during the week meant that I only had one go. The week sped by in a flash, so I’m afraid it’s a bit sudden death. I’ve tried to be completely direct and honest in the notes in terms of what’s in the glass [not on the label]. A caveat on the scores. I’ve probably been pretty conservative overall [as usual]. These are primeurs notes and assessing such young wines is tricky and you are looking at a moving target. I’ve scored them in a two-point range, the upper score being what I’d hope they achieve obviously. As ever the notes are more important than the numbers. I stick ’em in as they are a necessary evil.